Click here for complete material selection list. Since 1969, we've been a California based manufacturer specialized in Precision Plastic CNC Machining, Die Cutting, Rapid Prototyping, and Clean Room Assembly of plastic and non-metallic components, for critical applications supporting a wide range of industries. Some of the applications include parts for commercial aircraft to medical instruments to electronic fixtures/test sockets. We understand your projects are ever growing in complexity and innovation, we manufacture custom parts to our client's specifications, including re-engineering existing parts with our expert design and engineering team. We’ve been in business for 50 years and we work with corporations ranging from small start-ups to Fortune 100 organizations around the globe. We're a complete plastics resource offering best in class solutions, operating from a 42,000 sq ft facility with temperature-controlled machining. Our highly experienced staff of machinists, quality personnel, and supervisors are dedicated to delivering the best quality plastic and non-metallic components in the industry. We're an AS9100D/ISO 9001 certified company who has enjoyed success over the years as a result of our commitment to quality, integrity, and excellence for every customer. 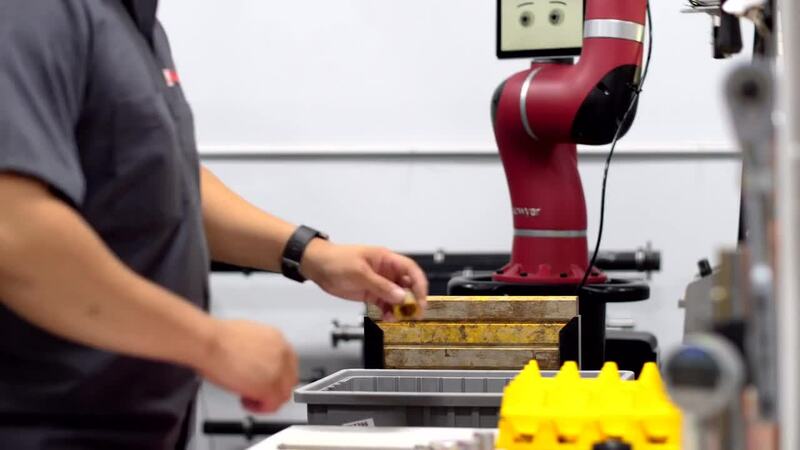 - Client Success Story: We were able to double production of their product within same lead times; with the limitations of 11 hrs of machining time was double by automation to 22 hrs of production time via our robotic friends. “Within these past 12 weeks: We finalized the design, finished/released drawings, surveyed vendors, chose vendors, cut PO’s, made changes along the way, received parts, assembled 1 unit, ran a handful of successful validation tests and wrote a final report; All completed by the deadline. I want to thank you (Roncelli Plastics) and your team for working with us to make this seemingly impossible task, a success."